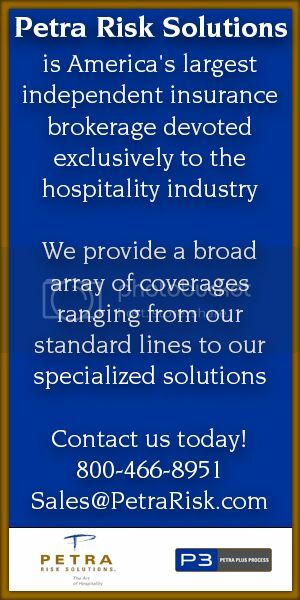 Hotels and motels have been hit hard — CNN said 67 percent of nearly 1,000 pest control companies surveyed have treated bedbug infestations in hotels or motels, and overall, calls to deal with bedbugs have increased 81 percent since the year 2000. Even four and five-star resorts have had problems with infestations, and researchers say it’s not an issue of cleanliness. “It’s not a hygiene issue, and that’s a very important thing for all consumers to understand,” said Missy Henriksen, a spokeswoman for the National Pest Management Association. 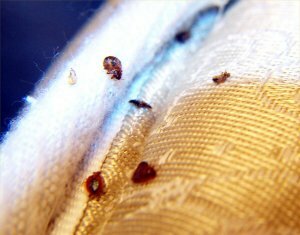 The American Hotel and Lodging Association said that bedbugs are brought into hotels by guests, so the best way to avoid picking up the creatures on your clothes or luggage is to thoroughly check the mattress and sofa before settling into a new hotel room. “A trained and knowledgeable housekeeping staff is one of the best lines of defense, along with having regular pest control inspections,” the association added. Â In California, an employer can be sued directly by his employee, if the employer failed to obtain Workers’ CompensationÂ insurance. This is true even if the injuries were primarily caused by the negligence or intentional conduct of third parties. McMahonâ€™s client, a foreign citizen, was working without a visa and the owners were aware that he was an undocumented worker. The client, working as a night clerk, was summoned to a scuffle at a room in the hotel at 2:00am. He was attacked by guests when they were asked to keep the noise to a minimum. The plaintiff was rendered unconscious and spent almost four weeks at a local county medical facility with various broken bones, teeth, and a head injury. The attackers were eventually convicted of attempted murder and are serving lengthy sentences within the California state prison system. 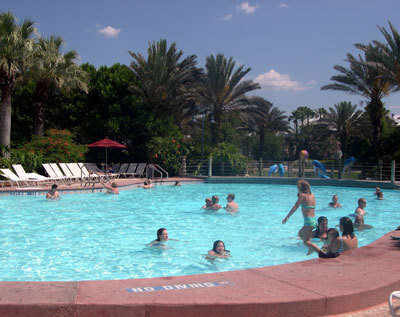 Constant supervision is an important step to ensure safety around pools and spas. Pool and spa safety drain covers are an important safety step and are required by law. Ameristar Casinos, Inc. said Thursday it will begin subsidizing medical coverage for part-time employees after researching methods for reducing part-time employee turnover. The company, which owns and operates Cactus Petes Resort Casino and the Horseshu Hotel & Casino in Jackpot, Nev., will pay one-half of the premiums for part-time employees working less than 30 hours per week and their dependents. Ameristar hosted focus groups with part-time employees to gauge how effective the program will be, officials said. Employee feedback led to Ameristar’s decision to make the care plan available to all part-time team members. Employees of the Turtle Bay Resort on Oahu’s scenic North Shore won a $526,000 settlement Â in a lawsuit over tips that had been split among workers and the company without customers knowing. At least nine similar suits have been filed over the last two years against major Hawaii hotels, Brandee Faria – the Turtle Bay employees’ lawyer – tells the Star-Advertiser. And it’s not only the employees who are hiring lawyers. 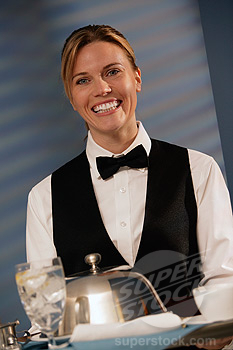 Some of the suits were filed on behalf of hotel customers who thought they’d paid tips to staffers – not hotel management. In a case against the Four Seasons hotels on Maui and the Big Island, the Star-Advertiser says that Hawaii Supreme Court in March ruled that hotel and restaurant employees may sue under the law. The Turtle Bay settlement covers 130 employees who worked at the hotel between 2005 and 2009; the amount would mean $4,046 per employee if the settlement was shared equally, the story says. Settlement checks were mailed out recently. The Poseidon system gives the lifeguard underwater “eyes.” It’s made up of overhead and/or underwater cameras, a central computer, an LED display panel and a waterproof touch-screen. 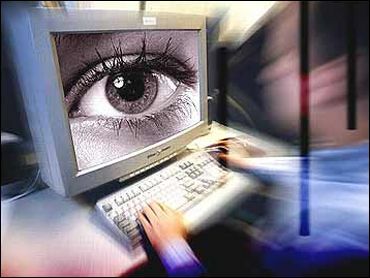 The cameras’ analog video feeds are converted to a digital signal by a device called a frame grabber – made by Montreal-based Matrox Imaging – so they can be analyzed by Poseidon’s software. Developed in France and first sold in 2000 by MG International-PosÃ©idon, Poseidon is an anti-drowning detection system that analyzes video streams in real time and alerts lifeguards to people in trouble in the pool. The Canadian Red Cross says recreational swimming is the second-leading activity that leads to drowning in Canada. Most drowning victims are young males and those who swim alone. Drowning can be silent and quick. A swimmer in trouble can enter what lifeguards call a “drowning spiral” within seconds. Once caught in that spiral, the victim becomes immobile, cannot call out and loses consciousness in as little as 12 seconds. When lifeguards are able to intervene and begin resuscitation within 30 seconds, the victim stands a good chance of recovery. As the amount of time involved in a rescue goes up, the chances of a successful resuscitation fall. The software algorithms analyze a floating object’s volume and texture to determine if it is a person or just an object in the pool. 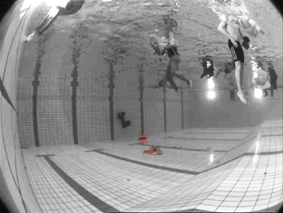 Once an individual is identified, Poseidon searches for unusual behaviour by comparing the swimmer’s position over consecutive images. When the software detects a motionless presence at the bottom of the pool for 10 seconds, an alarm and siren are activated. The monitors immediately show the location of the victim, allowing the lifeguards to bring him or her out of the water quickly and start resuscitation. Waterborne illnesses are far from eradicated, and they’re more than just a case of diarrhea. Americans shell out an estimated $500 million in health care costs to treat the conditions each year, according to a new report from the Centers for Disease Control and Prevention. Legionnaires’ disease: $101 million to $321 million. Characterized by fever, nausea and diarrhea, and achy flulike symptoms, Legionnaires’ disease afflicts around 25,000 Americans each year. Diagnosis and treatment can quickly add up. Blood tests, chest X-rays and liver-function tests might be required, and antibiotics are the usual solution. But Legionnaire’s can quickly turn fatal: Among patients who develop it in a hospital, death rates are around 50 percent. Prevention? Treating water systems is the reliable standby, but the disease can also fester in large air conditioning systems. Cryptosporidiosis: $37 million to $145 million. Also known as “crypto,” this parasite is found in recreational waterways and drinking water across the country, and is spread through the feces of infected people and animals. Diarrhea is the characteristic symptom, and though crypto usually clears up on its own, those with compromised immune systems risk hospitalization. Prevention? This one’s up to you. Don’t swallow pool water, wash your hands thoroughly — and if you’ve recently had crypto, do us all a favor and stay out of the hot tub for at least two weeks. Giardiasis: $16 million to $63 million. You might know it as “beaver fever,” and you’ve probably been afflicted. The CDC estimates that 2 million Americans suffer giardiasis each year. The illness, characterized by two weeks of cramps and diarrhea, is usually caused by raw sewage that’s leaked into drinking water. It can be transmitted person to person, leading to communitywide outbreaks. Â Around 80 percent of cases are treated with a course of antibiotics, but resistance to common medications is making beaver fever tougher to tackle. Prevention? If you’re enjoying the great outdoors, don’t rely on untreated surface water. 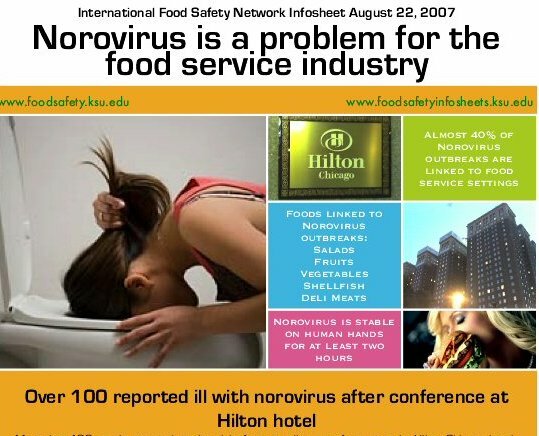 Â A leading microbiologist is calling on the hospitality and leisure industry to take more drastic action to minimise the risk of customers and staff being infected with potentially harmful microorganisms following a food poisoning outbreak at the Hilton Hotel in Glasgow. 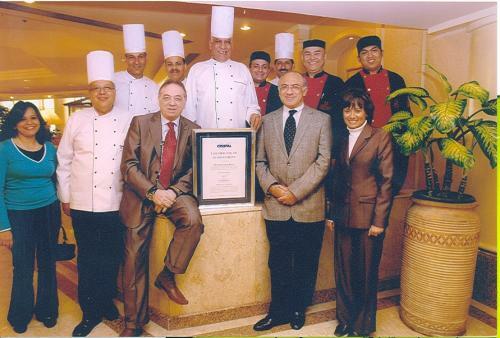 Â Dr Richard Hastings, a microbiologist for BioCote, says that by adopting antimicrobial silver ion technology into areas where hygiene is critical, like a hotelâ€™s kitchen and restaurant, or public areas where there is high footfall, it can help lower levels of contaminating bacteria by up to 99.99%. This dramatically reduces the possibility of cross contamination and the risk of people getting infected. Hotels are easy targets because they are all credit card-based. It is possible to reserve a room without providing a credit card number, but they donâ€™t make it easy. And hotels themselves certainly arenâ€™t fortresses designed to keep bad guys out. Theyâ€™re designed to be open and inviting, with, at best, a bellman whose focus is assisting guests rather than guarding the front door. Maybe that mentality exists in hotelsâ€™ IT security departments, too. The root of the issue is the hotel industryâ€™s insufficient security measures to prevent data breaches. Many rely on older point of sale terminals and outdated operating systems, which are more vulnerable to hackers. When the recession hit, many hotels cut back and decided to hold off on upgrades. While their defenses were down, hackers slithered into their networks to steal guestsâ€™ personal financial data. Once thieves have accessed this data, they can clone cards with the stolen numbers and use them to make unauthorized charges. “What we alleged in this case was a portion of [the service charge] was going to managers, the sales department, and others who aren’t permitted under law to dip into this money intended for waitstaff,” he said. The Orchards Hotel has agreed to a $240,000 proposed settlement in a class action lawsuit involving approximately 150 current and former hourly employees. With state law ordering food establishments found to be withholding wages and tips to pay employees up to three times as much as they’re owed, the employees at The Orchards will receive between two and three times what they were owed in wages and tips, Holtzman said. “The settlement is not only the recovery each employee is owed, but a multiple of what is owed,” he said.